​The Wilmington Educational Foundation has partnered with Baystate Textiles to raise funds through a new ongoing textile recycling rebate program. 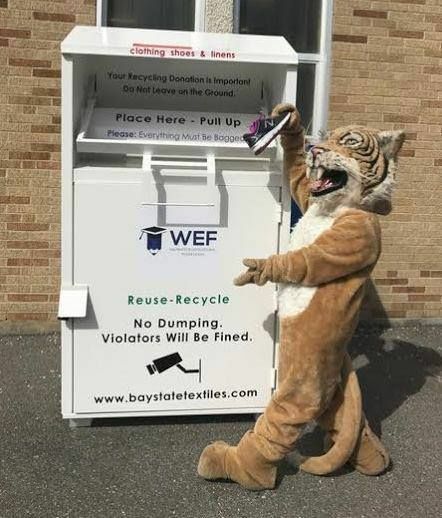 Bag up any of your unwanted clothing, footwear, accessories, linens and stuffed animals and place them in the donation boxes located outside each of the Wilmington schools. Items can be in any condition as long as they're clean and dry. The Wilmington Educational Foundation will receive a rebate of $100 for every ton of textiles collected. The donation boxes will be emptied weekly.